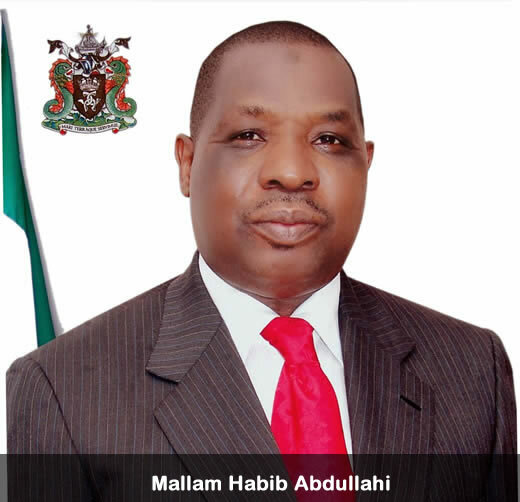 The Managing Director of Nigerian Ports Authority (NPA), Mallam Habib Abdullahi has challenged the entire workforce of the authority to re-dedicate themselves to effective service delivery by the Organization in the New Year as the Authority owe economic and social responsibilities to Nigerians. Mallam Abdullahi who gave the charge at the beginning of a one-day seminar on 5-year strategic plan organized for the Management team of the Authority recently enjoined all employees of the organization to realize what their employers expected of them. The Managing Director, who appealed to the employees to re-evaluate themselves in the course of discharging their duties, commended the officers and staff for their support and cooperation in ensuring the performance of the Organization over the years. He said the seminar was most timely as it was designed to come up with the strategies meant to ensure steady growth, enhance productivity and improve efficiency in the activities of Authority in the next five years. In his remark, the Executive Director Finance and Administration, Mr. Olumide Oduntan said the seminar was timely and it is a preparation to the retreat on the 5-year strategic plan that will be coming up later in the year. He assured that the 5-year strategic plan would positively structure the organization for the challenges ahead and it would be helpful to successive Management of NPA because they will have a comprehensive document to work with, which will be beneficiary to the Organization, terminal operators and stakeholders. Earlier in his opening remark, the Acting General Manager Corporate and Strategic Planning, Mr. Femi Jegede explained that strategic plan is a road map to lead an organization from where it is now to where it would be like in five or ten years and an essential first step in the development of a result-based accounting system. He said, the step taken by NPA management would bring a lasting change to the organization in the next 5 years. Commenting on the 5-year strategic development plan, the Consultant Mr. Bayo Shonibare commended the management for its initiative and explained that the successful execution of the outcome of the seminar would bring that desired change in the Organization. He advised that the plan should be the responsibility of all employees of NPA. He further stressed that implementation of the project would create a solid platform for the Organization and her stakeholders. The seminar was attended by General Managers, Port Managers, Assistant General Managers, and various heads of departments and divisions drawn from all locations of the Authority.